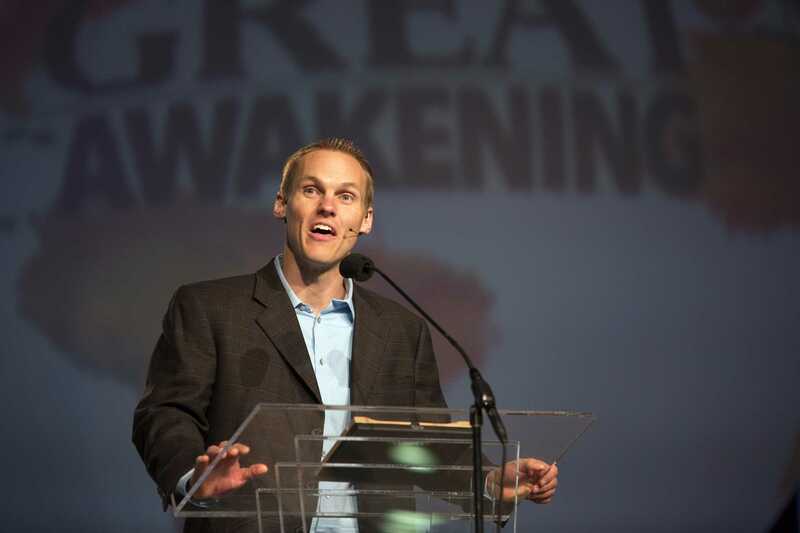 ONTARIO, Calif. — While appearing at an event with Baptist news reporters on Wednesday, Southern Baptist International Mission Board President David Platt told those gathered that he was sorry that an amicus brief supporting the construction of a New Jersey mosque had caused division. As previously reported, the Mission Board, the SBC Ethics and Religious Liberty Commission, and the Baptist Joint Committee for Religious Liberty were among 20 groups that had joined the 2016 legal filing, including the American Association of Jewish Lawyers and Jurists, the International Society for Krishna Consciousness, the Sikh Coalition, the Interfaith Coalition on Mosques and many others. The matter centered around the Islamic Society of Basking Ridge, which had sought to build a mosque in Basking Ridge, New Jersey, but was denied following community opposition. It sued in March of last year, and the Becket Fund for Religious Liberty assembled a coalition of faith groups supportive of the Society’s rights for an amicus brief to be filed with the court. “It’s good when we can join hands with … folks we are sometimes on the other side of,” Brent Walker, executive director of the Baptist Joint Committee for Religious Liberty, told Baptist News last May. The International Mission Board outlined on its website that it joined the legal brief because it supports religious liberty for all people, and believes that if Christians only support freedom for themselves, it could be detrimental to the furtherance of the gospel. “IMB supports freedom of religion for all people both in the United States and around the world. IMB signing the amicus brief regarding the New Jersey mosque is an agreement that all people deserve religious liberty, but it does not in any way support the mosque financially or with human resources,” its FAQ section explains. “If one follows global news (e.g., Russia’s restrictive laws signed earlier this year, on-going battles in places like Egypt, Malaysia, or India on the right to convert to Christianity, etc. ), it’s apparent that religious liberty is an ongoing global issue. IMB’s call on the government of these other countries to support the religious freedom of their citizens will ring hollow if, in the USA, we only support freedom of religion for Christians,” it states. However, in November, Dean Haun, pastor of First Baptist Church of Morristown, Tennessee and trustee on the board, resigned from IMB due to his disagreement with the board’s part in the legal brief. “I understand the religious liberty aspect of the entire argument. But I do not understand why the International Mission Board, with our mission to reach the world for Christ, would have to jump into the fray of a mosque being built in New Jersey,” he told reporters. Last month, in light of the controversy, Platt advised that the board had changed its policies about taking part in such legal briefs in the future. “As a result of discussions among IMB trustees and staff over recent months, we have revised our processes for our legal department filing any future amicus briefs. IMB leaders are committed in the days ahead to speak only into situations that are directly tied to our mission,” he told the Baptist Press. Platt, author of the best-selling book “Radical” and former pastor of the Church at Brook Hills in Alabama, then told reporters on Wednesday that he was grieved that the matter had caused a distraction, that it had drawn the focus of discussion away from missions work. Platt noted, however, that similar briefs had been filed before he became president of the board. “Going back to at least 2010, so far before I stepped into this role, our … legal department has filed various similar briefs related to religious liberty. And since 2010, all of those matters have been handled by our legal department,” he stated. He said that in the future, any amicus briefs will be filtered through his office and the board’s trustees.